Choosing yoghurt is tricky enough these days with the vast array of offerings in the supermarket aisle, and the various claims that go with them. 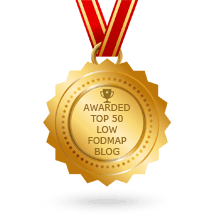 When you add lactose intolerance and a FODMAP diet to the equation, a lot of people become completely overwhelmed – and we don’t blame you. 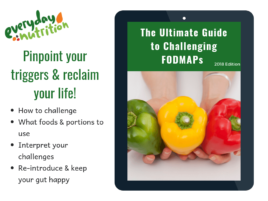 The good news is, that you can enjoy yoghurt on a low FODMAP diet and choosing one may be easier than you expect. 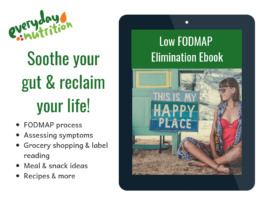 Everyday Nutrition has collaborated with Vanessa Cobarrubia RD, Diana Reid RD and Audrey Inouye RD from around the globe, to help you identify what yoghurt you can eat if you have lactose intolerance or are embarking on a low FODMAP diet. Lactose is the natural sugar, or carbohydrate molecule in milk and milk products, including certain yoghurts. Lactose is a double sugar molecule, which requires an enzyme called Lactase, to break it down before it can be digested. How much lactose a person can consume comfortably, will depend on how much lactase they have in the lining of their digestive tract. If someone eats or drinks more lactose than they can digest, the lactose will stay in the digestive tract and continue its path to the large intestine where it is fermented by the healthy bacteria that live there. This creates gas as a side effect and contributes to bloating and abdominal pain. Lactose is also one of the FODMAPs that is known for attracting water into the digestive tract and causing diarrhoea. Lactose intolerance is fairly common, especially in certain regions or populations, and has been extensively researched. As a result, we know that most people make some amount of lactase enzyme, and will do well with small amounts of milk in a cup of tea or coffee, but can find larger amounts (say a full cup of milk) problematic for the GI system. Research shows that most people with lactose intolerance will tolerate about 4-7g of lactose per serve, and up to 12g spread out through the day. (1-4) Although lactose tolerance varies, in our clinical experience we have found traditional strained Greek yogurt to be well tolerated by those on a fodmap diet. Of course, discussing with your own healthcare provider is always the best idea. Yogurt is the end result of the fermentation process from adding the bacteria, Lactobacillus bulgaricus and Streptococcus thermophilusto milk. These organisms produce bacterial lactase, which converts lactose into lactic acid, and provides that characteristic tangy taste and thick texture in fermented dairy products. As a result of this fermentation, the lactose of yoghurt is significantly reduced (by 20-30%), compared to milk, and is often tolerated better (less bloating, gas, abdominal pain, and diarrhoea). (5) Finally, some yoghurt brands also add therapeutic strains of bacteria, for their probiotic effect or for digestive relief. Greek yoghurt is slightly different from regular yoghurt, because it goes through an extra processing step. To make traditional Greek yoghurt, once the yoghurt has been through the usual fermentation phase, it is then strained and the watery part is discarded. The benefit of this is that when the watery whey is strained and discarded, much of the lactose goes with it. The end result is a yoghurt that is thicker and creamier as well as higher in fat and lower in lactose. In a natural or plain flavoured Greek yoghurt, you can see this on the nutrition information panel, which lists carbohydrates as usually around 4-6g/100ml. Note: Don’t be fooled by “Greek style” yoghurt though. This has not been through the straining process that lowers the lactose. Instead it contains added thickeners, to help simulate the texture of true Greek yoghurt..
FODMAP Friendly gave full-fat, Greek Yogurt the pass at 200grams. This can be attributed to the fermentation combined with the straining process. Monash has not tested Greek yogurt. Internationally, regular yoghurts vary in lactose content and appear to be anywhere from 5g per 100g up to 14g per 100g. On average strained Greek yoghurts contain 5-8 grams of lactose per 6 ounce serving. Grams of lactose (where known) are listed per 100 g serving. 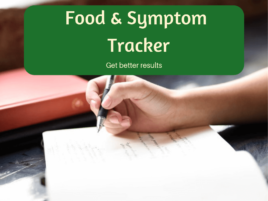 Based on clinical judgement and the research around lactose intolerance, 200 grams (approximately 3/4 cup or 6.5 ounces) of strained Greek yogurt can be consumed during the low FODMAP Elimination Phase. If you have concerns start with a smaller portion of plain Greek Yogurt and increase to full serving as tolerated. Consuming yoghurt with other foods (that contain fat and fibre, for example) will often lessen symptoms of lactose intolerance. These foods empty out of the stomach more slowly, reducing the amount of lactose entering the small intestine at one time. An example of this would be to eat your yoghurt mixed with low FODMAP nuts, seeds, fruit, granola or muesli. 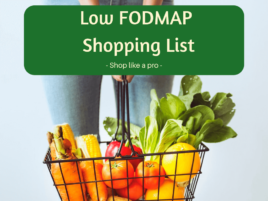 When choosing a low FODMAP Greek Yogurt avoid those containing high FODMAP fruits, inulin, chicory root, whey protein concentrate, and fructose. 1. Barrett, Jacqueline & Glbson, P.R.. (2007). Clinical Ramifications of Malabsorption of Fructose and Other Short-chain Carbohydrates. Practical Gastroenterology. 31. 51-65. 5. Oskar Adolfsson Simin Nikbin Meydani Robert M Russell. Yogurt and gut function The American Journal of Clinical Nutrition, Volume 80, Issue 2, 1 August 2004, Pages 245–256.